A three season porch brings the outdoors in creating not only added living space but increased value as well. We had one when we lived in Nebraska and was able to use it nearly 9 months of the year. On warm evenings, Mary and I would sometimes sleep out on our porch. To us, it was a mini-vacation just steps from our kitchen. 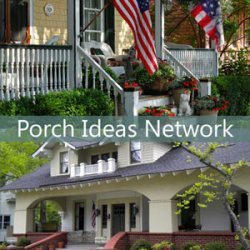 For you, we have a myriad of ideas for plans, designs, building options and considerations for your very own 3 season porch. 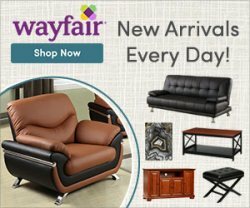 furnishing your new outdoor room! 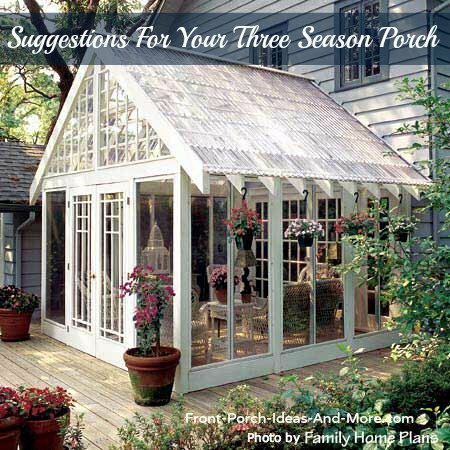 How Is a Three Season Different from a Four Season Porch? 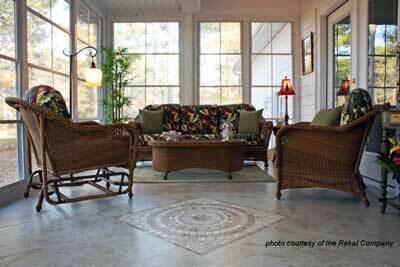 A three season porch is often called a sunroom and is sometimes confused with all season porches. 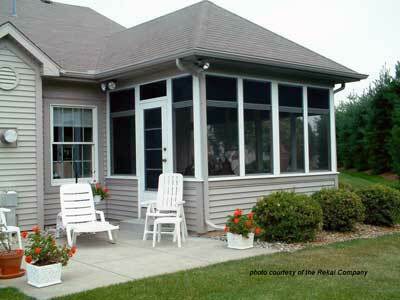 Four season porches are fully insulated and normally have heating and air conditioning. 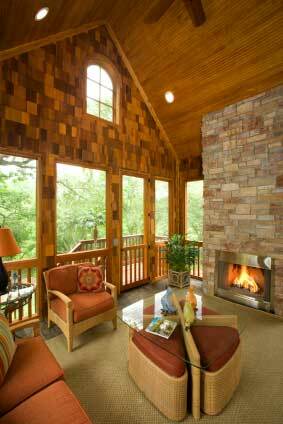 3 season porches and sun rooms are not insulated nor do they have heat and air conditioning, making them less expensive to build. They are built for the express purpose of extending use during the year and can also be great during inclement weather and chilly days. 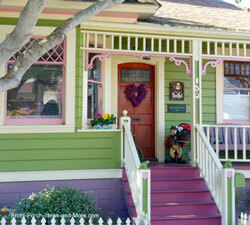 So location should be an important consideration when building this type of porch. A three season room is all about screen and glass (or acrylic) and should be your major consideration when building a 3 season room. 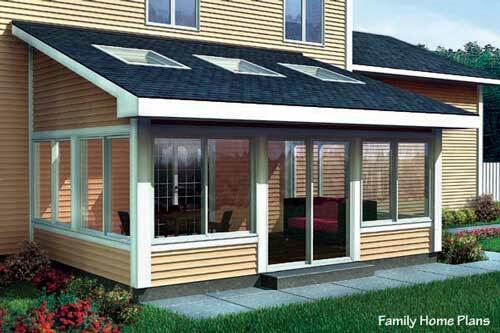 Permits you to convert your screen porch to a three season porch with glass inserts that replace the screen panels. 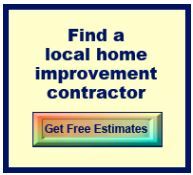 Purchased panels are usually fairly easy to install. However, you will have to store one or the other during the seasons. Our personal experience with storing glass panels over several years was not favorable. No matter how careful I was, I would end up cracking a glass panel or two. Glass is expensive to replace. We recommend if using glass panels plan to move them safely and provide protected storage. On the positive side, interchangeable panels can look great and come in a variety of sizes to accommodate almost any sized porch. Touchstone Woodworks makes wall panels however we cannot attest to their quality or service. Mary and I like this option best because you don't have to store either the screen or glass. They are self-storing so all you have to do is slide either the screen or acrylic panel into place. We have discovered that most combination windows don't allow for total screen visibility. However, we did find one manufacturer whose combination windows expose 75% of the screen which is awesome. Their acrylic panels are extremely strong and you can have them made to fit almost any opening (even garage-door size openings). 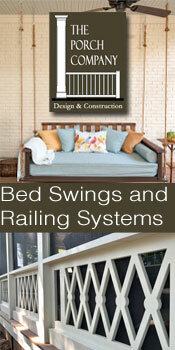 We have more information about these screen porch windows for you. Three season porches can become uncomfortably hot. A neat way to control and stabilize the temperature in your 3 season porch is to use transoms. These are small windows located near the top of your enclosure. Whether you use interchangeable or combination panels, opening the transoms will allow heat to escape. Combine this with ceiling fans and you should be able to enjoy your porch in comfort. Another option is to purchase a kit. Some include only the walls while others also have roof panels. Most of the kits we've seen only have interchangeable windows, that is, you have to replace the screen panels with glass panels in the fall. I have installed a screen porch kit and found it to be a good short-term solution. If considering using a kit,we recommend you do extensive research and opt for the most quality kit you can afford. So, once you know what type window and screens you'd like to have, you might want to either build it yourself or hire a contractor. Either way you need a plan. 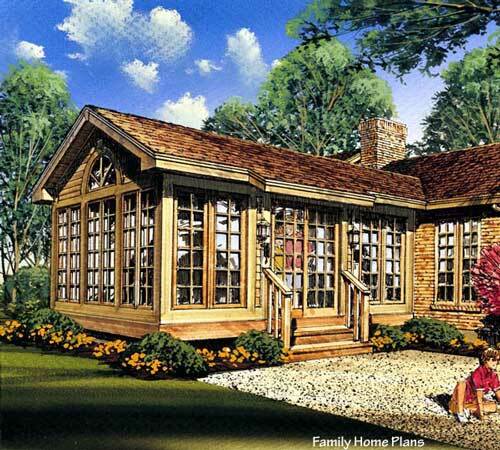 Here are some home and porch plans that you can purchase from Family Home Plans to build your three season porch. 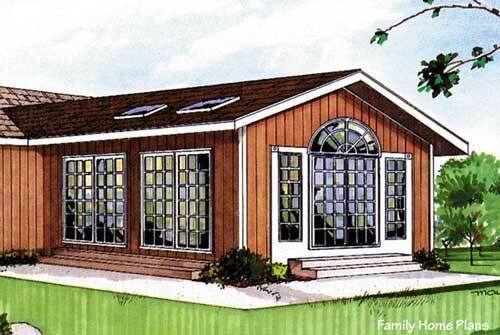 As an affiliate of Family Home Plans, we may earn a commission if you purchase a plan through our link. 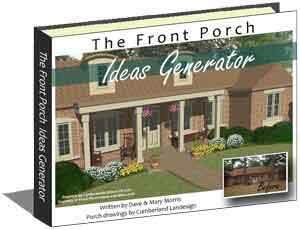 Want to Build Your Own 3 Season Porch? 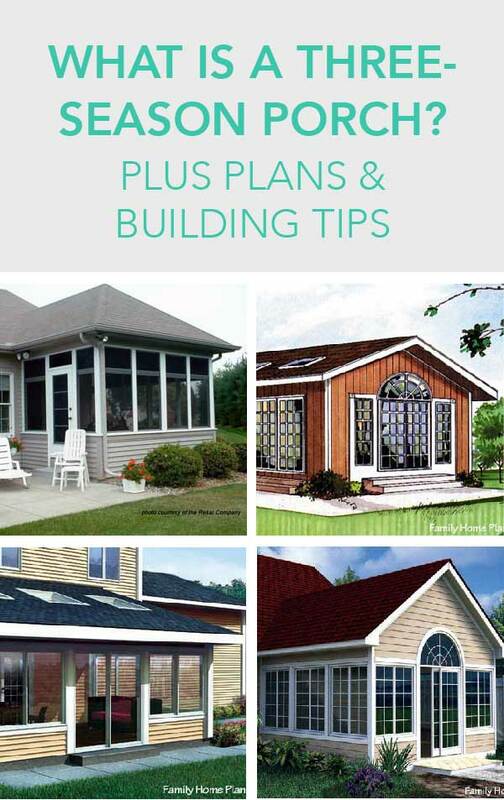 If you plan to build your own screen porch or three season porch, check out our how to build a three season porch section and our other porch building sections that cover every aspect of constructing a porch or enclosure from the ground up. 1. 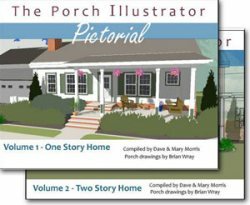 Location: To capture the maximum benefit of a three-season porch locate the structure to faces south to capture the sun's rays for heat during the cooler months. 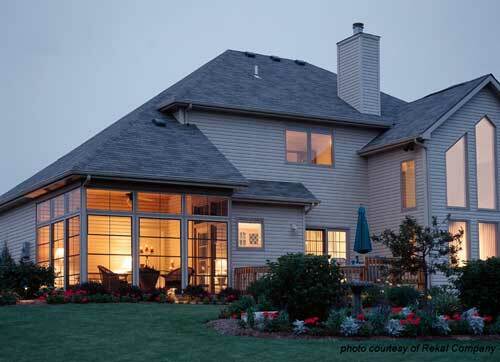 Ensure your porch has sufficient ventilation to allow hot air to escape in warmer months. 2. Accessibility: Ensure the flooring of your enclosure is the same as the flooring height in your home to preclude falls and allow wheelchair access. 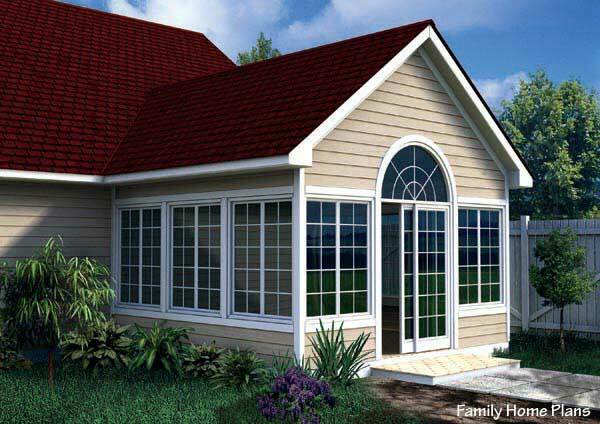 In addition, plan to make your door width an accessible width also. 3. Ceiling Height:Higher ceilings give your room the appearance of being larger. 4. Skylights: Your enclosure will limit the amount of light in the adjacent room. One way to gain light is to install skylights. 5. Minimize Costs. If building the porch yourself, make window frames standard sizes to accommodate glazed standard glaze windows. This will make replacements easier and gives you more options. Check with your local building supply provider to see what's available and costs before you begin. Consider using wooden panels to create a knee wall subsequently reducing the amount of glass you will need. 6. Flooring:For flooring consider using deck tiles that interlock. They can be installed over almost any surface, look great, and wear really well. You can get the look of wood, slate, or stone without breaking the bank. 7. Fans:Install outdoor ceiling fans to keep air flowing. 8. 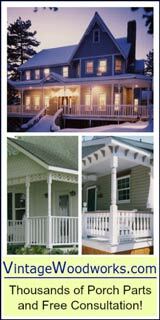 Customize: Add architectural features such as arches over screen panels, lattice-work, columns, and bead board ceilings to further enhance the appearance and add value to your three season porch. IMPORTANT NOTE: Whether you build from scratch or purchase a kit you need to comply with your local building codes. You must also comply with your homeowner's association rules (HOA), if applicable. Obtain the necessary permits for your area. 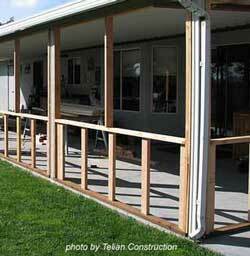 I once saw an idea for making a screened porch out of old screen doors as panels. 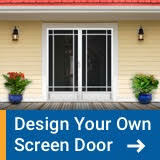 You could use the same methodology and create a similar three season porch: use storm doors with screen inserts. You may even be able to find them at salvage locations to save even more money.